Smart Switch Board provides full range of hardware and software tools to manage the passive elements at a Base Transceiver Station (BTS or cell site) location. Passive monitoring refers to the monitoring of a cell site for power, security, and environmental issues that might affect the service providing communication equipment located within the site. 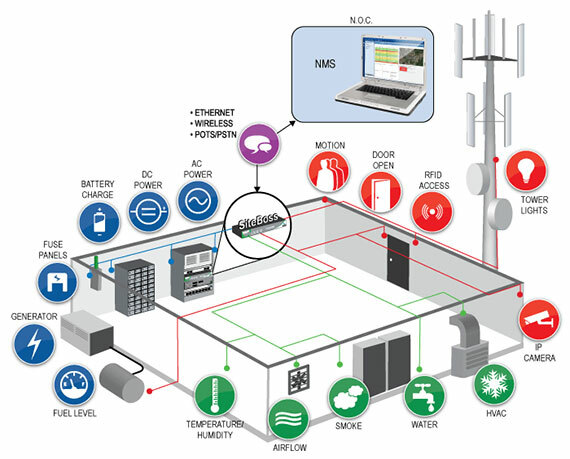 The purpose of these products is to reduce the costs of operating the communication network. This is accomplished by reducing the frequency and length of network outages caused by power, security, or environmental issues. If an outage does occur, service personnel can be dispatched with valuable data regarding what problems they may encounter once they reach the site.